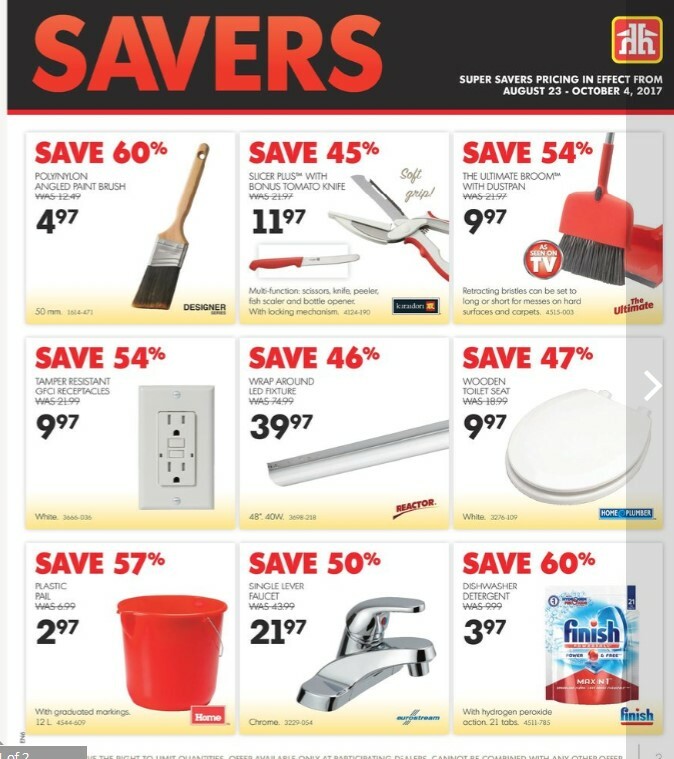 Home Hardware weekly flyer valid Aug 23 - 24, 2017. Get great value on quality brand names also more than 100.000 items available only at Home Hardware Store Canada. Get your day started right with 6 Speed blender 350 watts of ice crushing power pulse, and 1.25 litre borosilicate glass jar - sale prices $25.97 (Save $9), 4 Slice toaster with retractable cord extra wide slots and self adjusting bread guides white or black - sale prices 39.97 eas you can savings $13. Appliances you can depend on that is 3.5 QT. Casserole slow cooker cook and carry locking lid, ceramic dish can also be used in the oven. Includes recipe book $39.97 (save $20). Panasonic 10 cup 1-step rice cooker non-stick bowl, 6 preset programs, keep warm feature and auto-off $94.97 (save $45), K-Cup Holder Metal, hand crafted cafe design holds 16 K-cups pods - sale prices $18.97 limited quantities K-cups non indluded and Save $8, Hamilton beach Dual breakfast sandwich maker makes sandwiches in under 5 minutes. Built in- timer sale prices $44.97 (save $15). Save $100 for buy dyson big ball multi-floor bagless vacuum turbine head automatically adjust to seal suction. 2 tier radial cyclones includes tools $399.97, And Dyson V6 stick vacuum wide motorized dleaner head for carpets and hard floors Price after saving $299.97. 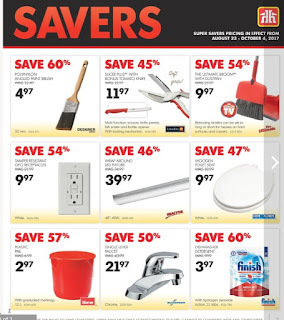 You may find Product Clean up with great savings, great value on page 9. 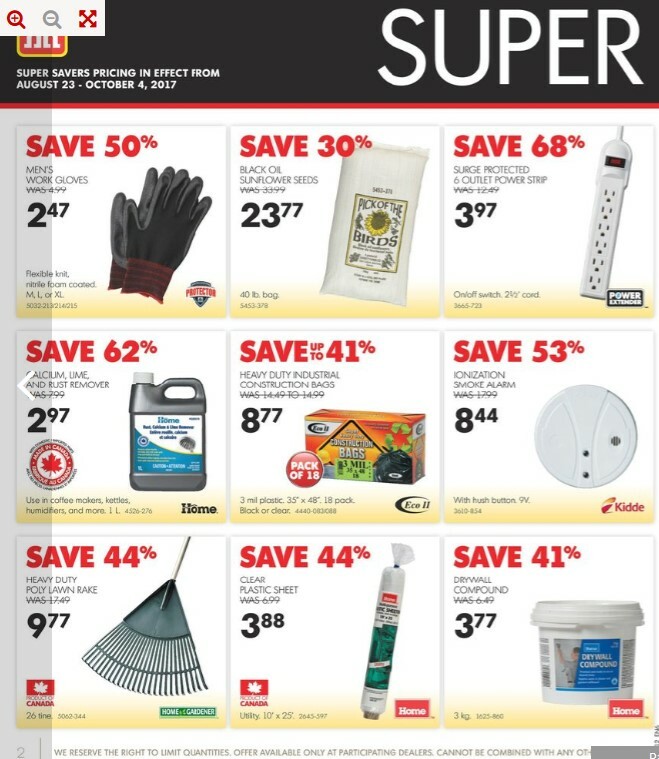 Home Hardware weekly flyer valid until August 23, 2017. 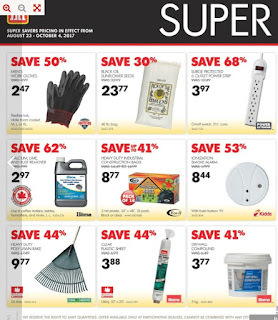 Subscribe to Home Hardware flyer to get awesome promo and savings like these.